Clive Palmers has sent out more unsolicited texts despite receiving over 3000 complaints. 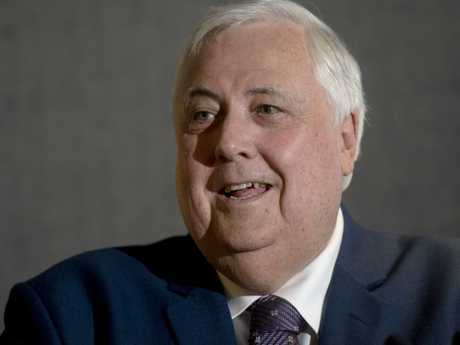 FORMER politician Clive Palmer is sending out more unsolicited texts despite receiving over 3000 complaints from the 5.6 million Australian voters he's already contacted. The United Australia Party founder, who wants to return to Canberra, wouldn't reveal today how he got hold of the phone numbers or the cost but insisted the campaign has been a success. 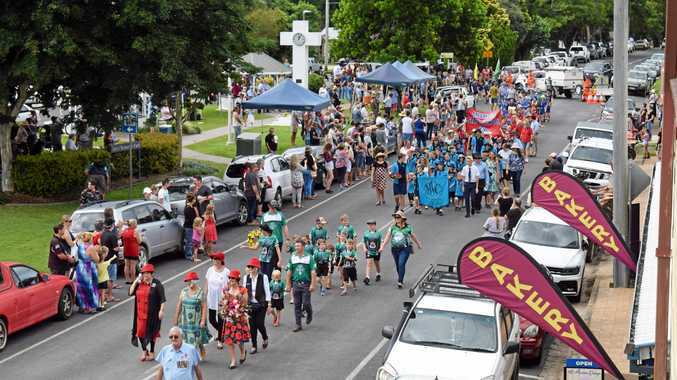 "We had an outstanding successful result ... it went out to 5.6 million mobile phones with 280,000 people contacting our party website (as a result)," Mr Palmer told reporters in Sydney. United Australia Party leader Clive Palmer at the launch of his Australian politics-themed App game in Sydney. More texts were sent today, prompting additional complaints on social media, with over a dozen people expressing confusion and frustration at being contacted without their permission. "Clive Palmer slithered unwelcome and unsolicited into my texts this morning with no option to unsubscribe from his mailing list," one woman wrote on Twitter, adding a vomiting emoji. Another woman called waking up to the text "possibly the most terrifying moment of the year yet. Australians should now expect a 2am call from Abbott I guess?" Mr Palmer said it was legal for political parties to contact voters via SMS. His spokesman confirmed more than 3000 people have complained directly to the party via text message and emails since they were first sent late last week. Meanwhile, Mr Palmer was in Sydney today, spruiking a politically-themed mobile app heavily featuring himself. 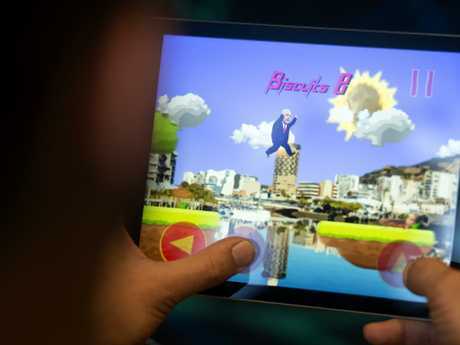 Clive Palmer has a launched a politically-themed mobile app that features an arcade-style game. 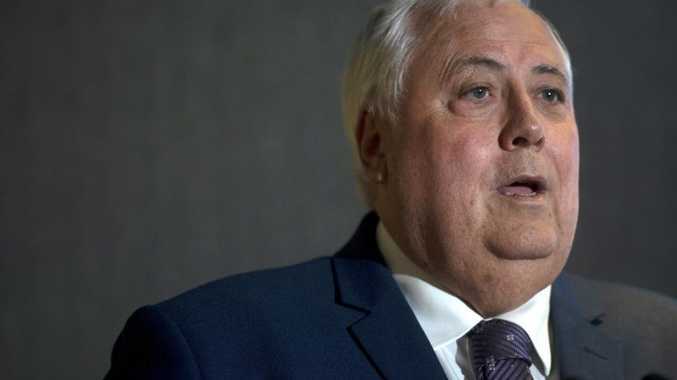 The arcade-style game - titled "Clive Palmer: Humble Meme Merchant" - sees Mr Palmer run around Australia collecting Tim Tam biscuits in reference to memes he has posted on Facebook. Players have to dodge obstacles including Labor leader Bill Shorten as a cockroach, shock jock Ray Hadley and former politician Jacqui Lambie with two heads. Mr Shorten brushed off Mr Palmer's latest venture, telling reporters who would rather he concentrate on paying back workers from his company Queensland Nickel following its collapse in Townsville three years ago. "I won't take him seriously," Mr Shorten told reporters in the Northern Territory today. Set to the tune of a parody of the ALP's former election song "It's Time", it's claimed the app was created to take a "friendly jab at mainstream politics". Mr Palmer confirmed he contributed financially to the game's creation but would not say how much or the cost of his other prolific advertisements on television, radio and billboards.